Whether you are a long time camper or brand new, there is a lot that goes into buying a tent. It is important you do your research and understand what you specifically need when you are in the outdoors. It can easily become overwhelming once you see all of the options laid out before you. However, once you read this article you should be more confident in your tent choice and therefore happy with your ultimate choice. Here are a few things you should know whenever you are purchasing a new tent. What Will You Be Using Your Tent For? The type of camping you plan on doing will have a lot to do with several aspects of the tent itself. For instance, if you plan on mostly using your tent for backyard camping, then you can probably get away with a cheaper model (see my article about the best tents under $100) than if you are using your tent for backpacking. Now is the time to be honest with yourself. Are you going to have the time to do the type of camping you want? Do you really need an ultra lightweight tent, or could you get by with a heavier model that could ultimately save you a few dollars? There are a lot of variables in tent shopping, and unless you are realistically thinking about them you may end up spending far more than you need to on a tent. How Big Does Your Tent Need To Be? Once you have an idea of what you plan on using your tent for you will have a better understanding of how big it should be. For instance, if you are car camping, then you should get a big tent, go really big (see my recommendations for the best 12 person tents). Even if it is just you in the tent, you'll enjoy the extra space and will have the room afforded to you to bring it. However, if you are getting a tent for backpacking then you want the smallest, lightest tent possible. If you’re planning for any solo adventures then you should investigate 1 person tents. If you want something a bit more flexible then a 2 person tent can sometimes be a better option. For more general usage, it’s a good rule of thumb to go for a tent that is rated for one person bigger than you anticipate sleeping in it. You will need the extra space for storage, plus, the little bit extra won't add much weight overall. Now, consider your own size, are you especially tall? Do you have a stocky build? If you are a tall camper, then consider a longer layout. The total headroom of the tent is determined by the wall slope. The number of people you'll be camping with along with the type of weather you'll be camping in will give you a good idea of the size of the tent. For instance, if you know you'll be camping in some rainy weather, then consider a vestibule. This is an add-on feature that allows you to keep your packs and muddy boots dry but also out of your tent. Tents that are sloped at the foot tend to be worse for sitting if you find yourself spending more time awake in your tent. For the serious camper hiking miles through the mountains, no one number is more important than the weight of your new tent. Every ounce counts when you're carrying the weight on your back and the tent is probably the largest item you will have to pack. But the more lightweight, the more expensive they become. If you know you'll be camping in rainy weather, then a rain fly is important. These are best when you know for certain rain will be part of most of your camping forecasts. There are tents for every season to consider as well. Basically, tents fall into 5 categories, tarps (see my best hammock tarps and my best tarps for camping), convertible, mountaineering/winter tents, summer/screen, and three-season. Tarps work best if you plan on backpacking and you're looking to save on weight as it is basically a solid sheet of either polyester or nylon. However, you'll have to be good at knot making if you want to make this type of tent work. A convertible tent is for those who plan to camp in any and all possible conditions. They're great for those who camp during the stormy months and will need the option of a vestibule or a rain fly. Just remember that these tents tend to be heavier than the rest, so if you're backpacking, this may be one you pass on. If you're a camper who wants to really brave the elements, then a mountaineering/winter tent is your best bet. These come with big vestibules and external guy-out points but the additional poles and heavier fabric make for more weight to carry and a more complex set-up. Guy out loops are used for you to prevent any fabric from flapping while the winds are high. A summer/screen tent work well in keeping the bugs out while also allowing for ventilation. 3 season tents are great for keeping you dry and warm from the spring into the fall. Just don't expect a cheap tent to perform well in nasty weather or to last more than a few uses. How compact does your tent need to be? The more thought you put into a tent purchase before you make it will make all the difference once you're on the trail. While weight is important, the size of the tent when broken down is still a consideration. Be sure to verify the tent will fit inside your pack before you purchase. Some models will have straps to attach to your existing pack, but be careful with this route. 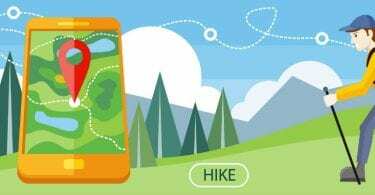 If you have multiple accessories loosely hanging from your pack while hiking it can become dangerous depending on how tight the trail gets. A moderate sized tent that comfortably fits inside your backpack is usually the safest option. Is it easy to put up? After a long day of hiking, having a tent that is easy to assemble will be a life saver. While "ease" is a subjective term, speaking with a sales clerk or checking reviews is the best way to verify how simple a particular model may be to assemble. After all, no tents ever advertise that they are difficult to assemble. I've found the quickest and easiest type to be instant tents (you can also get pop up tents for the beach). With any tent you purchase be sure to practice setting it up in your backyard before attempting to out on the trail. Weather and exhaustion can make it extra difficult if you are trying it for the first time. Durability is as important in a tent. Consider the type of camping you will likely be doing. If you hike on trails with shelters or clearings for camping, durability isn't as big of a concern because of fewer hazards on the ground like jagged rocks or branches. If you plan to hike off the beaten path, then durability should be top of mind. Look for a higher denier fiber count in the tent material if this is the case. There are other things to consider when making your purchase. Many larger tents are free standing and do not have to be staked but tent poles are still very common. The more poles required, the more difficult the set-up will be. Aluminum poles are the most durable than fiber glass poles. Many high-end tents offer additional accommodations like hanging pouches inside the tent, or openings for cords and electronics. You may also want to include a footprint to protect your tent floor. This is a separately sold ground cloth that will help keep the sticks, stones, and dirt from eventually tearing up the floor of your tent. These are also great for tents with large families where there is a lot of foot traffic. Remember, it is much cheaper to purchase a footprint than it is to replace an entire tent. A footprint is designed to fit the shape of your tent exactly, unlike your generic ground cloth, which will stick out at the edges. Footprints will ultimately keep the tent much dryer than a ground cloth [https://www.rei.com/learn/expert-advice/family-base-camping-tent.html]. Ultimately, it comes down to considering what accessories are worth spending the money on. Finding the right tent can be a daunting task, there are a lot of variables to consider and decisions to make. However, with enough research and shopping around you will be able to find the perfect tent for your specific camping needs. 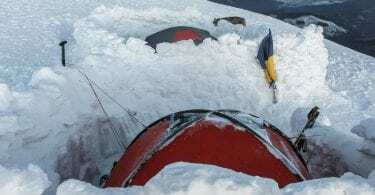 Hopefully this article has helped you to become more confident in your knowledge of tents and camping in general.